Various companies within the Hurstwood and Crystal Group of Companies is the data controller and we are responsible for your personal data (referred to as ‘we’, ‘us’ or ‘our’ in this privacy notice). If you are not happy with any aspect of how we collect and use your data, you have the right to complain to the Information Commissioner’s Office (ICO), the UK supervisory authority for data protection issues (www.ico.org.uk). We should be grateful if you could contact us first if you do have a complaint so that we can try to resolve it for you. 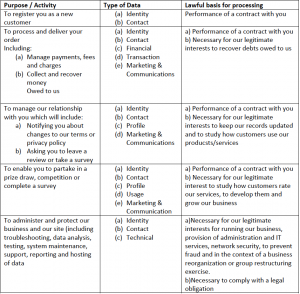 Set out below is a description of the ways we may use your personal data and the legal grounds on which we will process such data if we do so. We have also explained what our legitimate interests are where relevant. We may process your personal data for more than one lawful ground, depending on the specific purpose for which we are using your data. 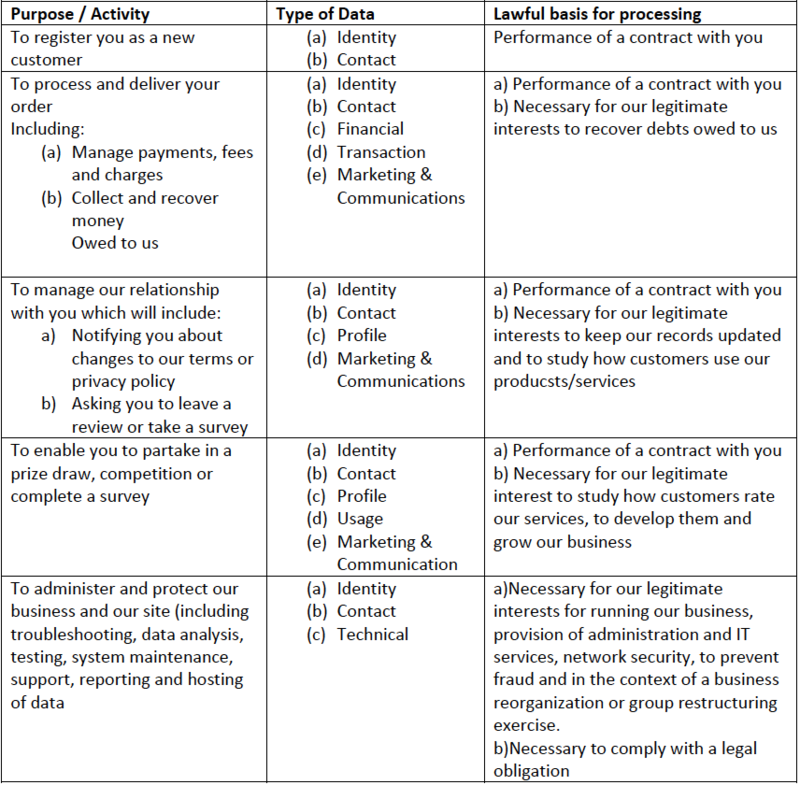 Please email info@hurstwoodholdings.com if you need details about the specific legal ground we are relying on to process your personal data where more than one ground has been set out in the table below. We may use personal information we collect from you, such as age, gender, interests. In order to understand your behaviour and provide you with the best content and service possible, this is called Remarketing. The second process we use is to target our advertisements based on all the information we have collected, through the use of automated cookies. You can opt out of Cookies at any time by visiting your browser settings. You can ask us to stop sending you marketing communications at any time by clicking on the unsubscribe option contained within those emails. Where you opt out of receiving our marketing communications, this will not apply to personal data provided to us as a result of a purchase, experience or other transactions. We have put in place appropriate security measures to prevent your personal data from being accidentally lost, used or accessed in an unauthorized way, altered or disclosed. In addition, we limit access to your personal data to those employees, agents, contractors and other third parties who have a business need to know such data. To determine the appropriate retention period for personal data, we consider the amount, nature and sensitivity of the personal data, the potential risk of harm from unauthorized use or disclosure of your personal data, the purpose for which we process your personal data and whether we can achieve those purposes through other means, and the applicable legal requirements. We may need to request specific information from you to help us confirm your identify and ensure your right to access your personal data (or to exercise any of your other rights). This is a security measure to ensure that personal data is not disclosed to any person who has no right to receive it. We may also contact you to ask you for further information in relation to your request to speed up our response.